THIS IS A FREE VERSION FOR EURUSD ONLY. Click here to purchase unrestricted version. 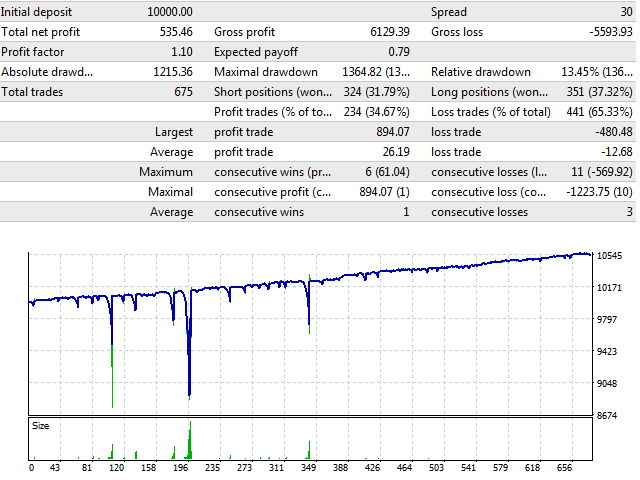 HyBridBot trades at trending market utilizing money management which includes percentage of risked money, reward to risk ratio,stop loss and take profit. It applies our hybrid strategy with capital protection should the market not going in our favor. Magic No: trade unique number for this robot. Time Frame: default is H1. Percent Trade Risk (%): percentage of account balance or free margin is used to open a trade. Reward To Risk Ratio: it is a ratio of take profit to stop loss. Min Bar Size (Pips): minimum bar size in pips to open a trade. Min Stop Loss (Pips): minimum stop loss in pips to open a trade. Start Lot: initial lot size for new trade. Lot Multiplier: lot size increment for the next trade. ON/OFF: on or off this feature. 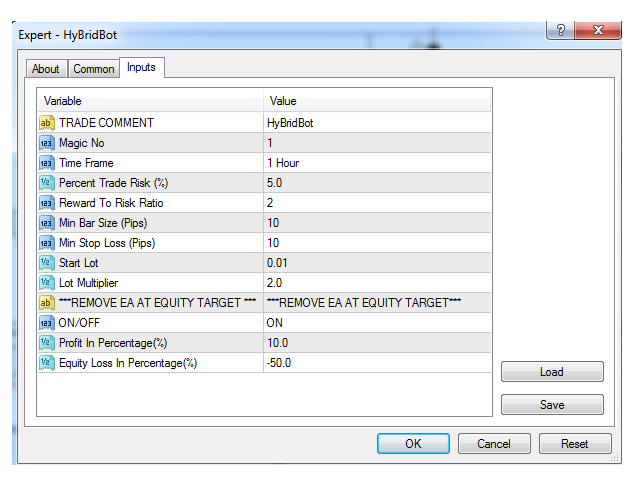 Profit In Percentage(%): if profit target reached, robot will be removed from the attached chart. Equity Loss In Percentage(%): if equity loss drops below this set percentage, robot will be removed from the attached chart.